Your Porsche vehicle comes with exclusive roadside assistance that offers added security when traveling. With the purchase or lease of each Porsche vehicle, the owner will receive the advantages of the Porsche 24-Hour Roadside Assistance program for the duration of the Porsche Limited Warranty coverage. 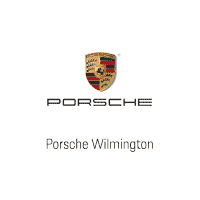 Porsche 24- Hour Roadside Assistance can be reached by calling 1 (800) PORSCHE/ (Option 1). This is the only number you need to know to receive the services and benefits of the Porsche 24-Hour Roadside Assistance program, 24 hours a day, 365 days a year, anywhere in the United States or Canada. If your Porsche won’t start, we will send an authorized servicer to “jump start” your vehicle. If your Porsche can’t be started, an authorized servicer will provide towing service subject to the Emergency Towing guidelines. Should you happen to run out of fuel, Porsche 24-Hour Roadside Assistance will provide enough fuel to get you to the nearest gas station. Both the delivery service and the fuel are complimentary. Should you encounter a situation that causes damage to a tire rendering the vehicle inoperable, the proper towing equipment will be dispatched to assist. Depending on your vehicle’s tire/wheel specifications it could be necessary to transport the vehicle to the nearest authorized Porsche dealership for service. The cost to install a new tire onto the wheel or the second service call to return a repaired tire to the disabled vehicle are not part of the Porsche 24-hour Roadside Assistance program. Due to the unique engineering of your Porsche, gaining access to a vehicle without the vehicle key could cause damage. Should a key be locked within the vehicle, please contact your authorized Porsche dealership or Porsche 24-hour Roadside Assistance so that arrangements can be made for you to obtain your spare key or transport your Porsche to the nearest authorized Porsche dealership. If your ignition key is lost, broken or accidentally locked in your vehicle, replacement keys must be obtained through the nearest authorized Porsche dealership and could take up to 48-hours to obtain. Replacement keys obtained through any other source will not start the vehicle. The cost for parts and/or labor to produce replacement keys are not included as part of the Porsche 24-hour Roadside Assistance program. Service will be provided to extract your Porsche vehicle from mud, sand, snow or a ditch, provided that the vehicle is in an area immediately adjacent to a regularly traveled road that can be serviced with standard servicing equipment. Trip Interruption can be submitted by contacting 1-800-PORSCHE option 1.